Technology companies are touting wireless homes, where we can download a book in the tub and beam a movie from a tablet to the television set. But too often, that potential doesn’t live up to the reality of sluggish and flaky wireless networks. My apartment has more than a dozen devices that feed off the network: two laptops, a printer, an e-reader, wireless speakers, two smartphones, an iPad and more. Yet getting gadgets to connect to my two-year-old wireless router is a dark art. I can surf the Web on the street in front of my house, yet can’t get a signal sitting in bed. In desperation, I even tried dangling a router—the equipment that takes your Internet connection and shares it with the devices in your home—from the ceiling in an effort to distance it from interfering walls. Surely, covering a whole apartment is a problem that the decade-old Wi-Fi industry can solve. So I tested four top-of-the-line home wireless routers, each of which features the latest generation dual-band “wireless N” technology designed to increase performance. The result was disappointing. 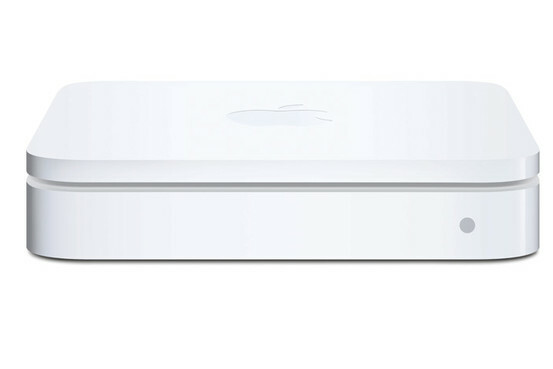 None of the routers could deliver a 100% consistent wireless experience that could take advantage of the latest technology, like Apple’s AirPlay media-streaming service. One came close, thanks to a controversial signal-boosting feature that could potentially interrupt my neighbors’ networks: the Netgear WNDR3700, which retails for $169.99. 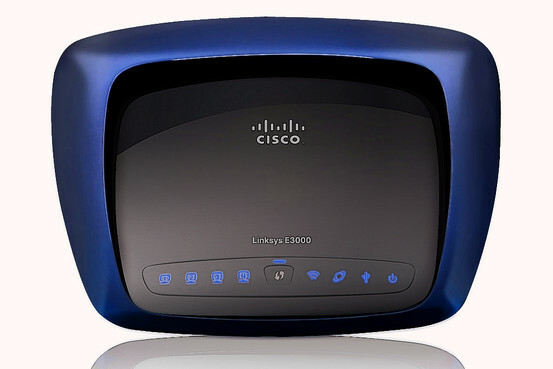 Another, the $179.99 Cisco Linksys E3000, was runner-up in some tests, but still sometimes dropped out when streaming music. My tests weren’t scientific studies of signal strength and speed. Every home is a different combination of size, building materials and potential competition for precious wireless bandwidth, such as other Wi-Fi networks and cordless phones. Even pets can obstruct signals. Because of that, router manufacturers won’t even offer estimates on the range their devices can serve. I conducted real-world torture tests designed to see how the routers might perform in challenging scenarios at completing tasks like streaming media to iPhones and moving large files between computers. I didn’t test devices known as repeaters, which extend the range of an existing network, because I wanted to see how far I could push the routers on their own. My 100-year-old apartment building features materials that act like kryptonite to Wi-Fi signals, such as metal mesh in plaster. Worse, my urban San Francisco building is surrounded by apartments with their own Wi-Fi networks—25, at last count. For balance, I also tested the same four routers on my friend Mark’s suburban house, which competes with fewer neighboring Wi-Fi networks, but is larger. In our suburban tests, the routers performed in largely the way they did in the urban environment, though in that setting both the Netgear and Cisco performed admirably. 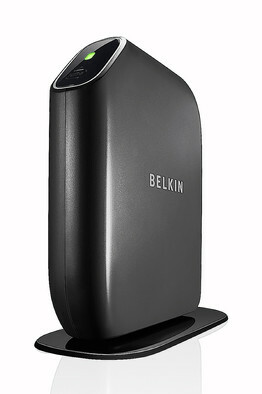 A third model, the $109.99 Belkin Play N600HD, performed adequately. 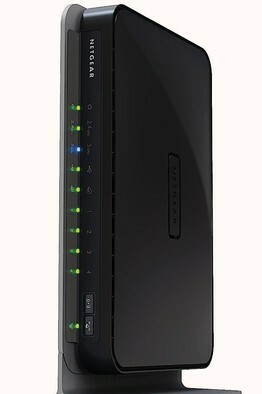 All the routers I tested, which included the $179 Apple Airport Extreme, feature a technology called simultaneous dual band. This means they really run two networks. Devices that need to receive a lot of data, like video, can use the digital equivalent of a carpool lane, while the rest of your data take the regular highway. That seems like a good idea, but the technology made little impact in my tests, because many devices don’t yet support the new frequency, 5 GHz. The iPad does, but the iPhone 4 does not, and nor did my older H-P laptop. Moreover, 5 GHz comes with a drawback: its signals usually can’t travel as far through walls as the older technology, transmitting at 2.4 GHz. Rather than overall speed, the biggest Wi-Fi problem I encountered was getting the network to reach the nooks and crannies of the house. To test that, I compared the ability of each router to stream media to a device like my iPhone in trouble spots, such as my dining room or Mark’s patio. The results were often stark. To Mark’s upstairs bedroom, the Netgear and Cisco routers could stream a video with ease, but the Apple would sometimes slow to a crawl. When I sent a file over the network to that same spot, the Apple router was sometimes one-tenth the speed of the Netgear and Cisco. In my urban apartment, only the Netgear router was able without interruption to stream music from an iMac to speakers about 50 feet and five walls away. The music would conk out occasionally with the Cisco router, and quite often with the Belkin and Apple. And even the Netgear would stumble when I tried the latest feature for the iPhone called AirTunes, which lets you stream media from an iPhone or iPad to the Apple AirPort Express or Apple TV. That technology requires the data to take a longer round trip to its final destination, stressing the network further. With the Netgear router, I experimented with a setting called “performance mode.” Using it significantly improved the reliability of the network in some parts of my apartment, and put Netgear into a higher class. But that option, which is sometimes called “channel bonding” or “20/40” mode, is controversial because it essentially pushes signals from your neighbors’ Wi-Fi networks out of the way. The Wi-Fi Alliance, which certifies Wi-Fi equipment, said it now requires routers to switch to a neighbor-friendly mode if other networks are around—but this Netgear router was certified prior to that rule. The other router makers say they either don’t offer the option, or automatically downscale when there are neighboring networks. Wi-Fi technology shouldn’t make me have to choose between my neighbors and my network. A Netgear spokesman told me that in my situation, neighbors aren’t likely to feel an impact, because my impenetrable walls keep the signal from traveling very far anyway. Being a good neighbor aside, I’d recommend either the Netgear or Cisco routers for users looking to cover a tough space—and hope that the networking industry can come up with even better technology soon. In the meantime, moving a router away from objects that can degrade the signal, like mirrors and refrigerators can help. And the desperate can fall back on a wireless repeater. The most pleasing to look at and simple to install, but suffered from slow transfer speeds and frequently struggled to stream music to difficult locations. Acceptable and sometimes impressive file transfer speeds, but often dropped the connection while streaming music. Walter S. Mossberg returns next week.